A corroded VG or better detail coin. 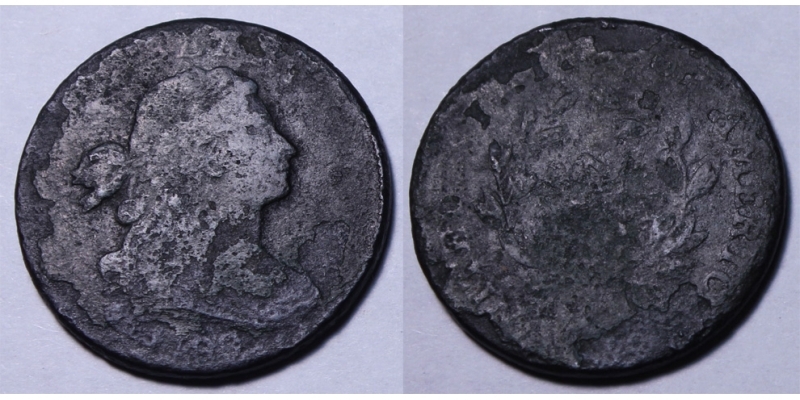 Can probably be improved by someone who does those things but for now both Obverse/Reverse has scaling corrosion. Shows FULL DATE, portrait, and "LIBERTY" with Reverse showing most of legend/parts of wreath and fraction. 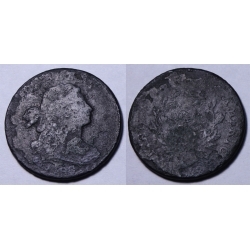 A very rare coin with problems but the nicest thing is it's a 1799 with the date. Coin actually nicer than photos imply. Shame about surfaces -- but again, save big @ only $3250.